Another month has flown by, we have had a terrific month here at Dive and Sea Tenerife, we enjoyed a busy Easter. 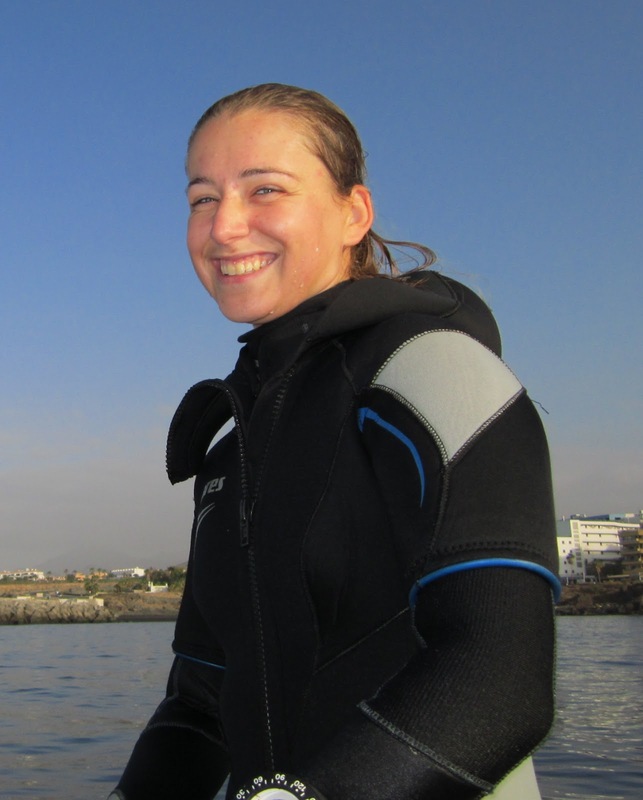 All of our Interns have had another busy month here at dive and Sea Tenerife, firstly Kim (Alice) newly certified Divemaster finally went back to Holland!She still did not want to leave despite an additional 5 weeks here. Alice was heartily disappointed that she was unable to complete her Assistant instructor on this Internship as she has not been a certified diver for 6 months. Kim plans to return at the end of the year to complete her PADI Assistant Instructor course, so we look forward to welcoming her back. Congratulations to Alice for getting herself a fabulous divemaster Job in Gran canaria we all wish her well. Congratulations, also, to Chris who has worked really hard this month, and completed his Divemaster certification. Chris has become a true professional in the last 6 weeks, and next onto his PADI Assistant Instructor Course. Watch this space. And Congratulations to George who has also passed his Divemaster certification not only in record time but also gave us a lot of laughs along the way. George is also studying hard for the PADI Assistant Instructor course. We all wish them well and they will be joined by Jackie from Teide Divers as well. We are looking forward to welcoming Aaron and Carl at the beginning of May. Aaron joins us all the way from California… jet lagged is how he will spend his first few days I think! Carl has joined us on his year out from university studying Marine Biology to complete his Divemaster Course and also the PADI Assistant Instructor Course. 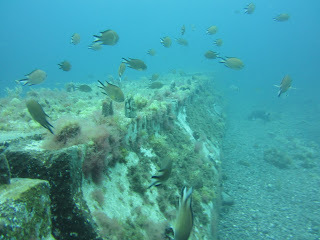 This Shore dive site is a recent discovery and a very interesting dive. You enter from the shore and then swim out to the right hand side, before descending into 6 metres of water. Close to this point is a pipe that tracks from shore out into deep waters, which is encased in pre-cast concrete blocks. As with everything that has been in the ocean for some time, the blocks have become homes for plenty of aquatic life, with the gaps in the blocks providing excellent hiding places for species such as Scorpion Fish, Octopus, Rays and Canarian Lobsters. Following along the pipe into 14 metres of water gives you ample opportunity to peek into the gaps in and around the blocks, finding beautiful underwater beings such as Nudibranch, Starfish and Sea Hares. With a clear path along the pipe and shallower depths, this site is perfect for divers of all experience levels. Underwater photographers will have great colourful opportunities and all divers who appreciate great dive sites are sure to enjoy it. Feeling a little cold on your dive, but don’t want the added expense of purchasing a new thicker wetsuit? There are a number of inexpensive options that you can consider, neoprene socks, gloves, rash vest or ice vest. Here I am going to discuss neoprene socks………. Dive socks are made of neoprene and you wear them inside your boots, they are really stretchy and easy to put on and take off. As I am sure you all know you lose most of the heat from your extremities, so making sure your feet are nice and warm during the dive will help you stay warmer for longer. Dive socks come in a range of sizes and thicknesses so always make sure that you try the socks on under your boots before purchase to ensure a comfortable fit, its all very well having nice warm feet, but not at the expense of making your boots tight and uncomfortable. Another added bonus of dive socks is that they prevent your boots or fins rubbing your feet preventing blisters or bruising. 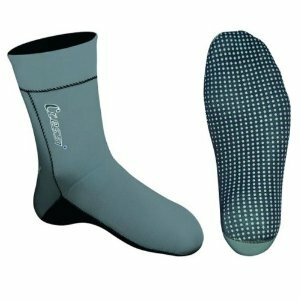 Dive sock prices differ depending on thickness and make but can cost from as little as 12 Euros. As a PADI Advanced Open Water Diver you might be thinking where can I go from here to continue my recreational training! There are several options that you can explore. 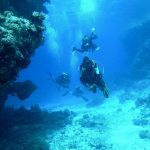 You can of course progress onto the PADI Rescue Diver training or you can choose from a list of specialities and concentrate on a particular area of diving. Did you know that your Advanced Diving dives can be counted towards completing a speciality Diving course? For example, if on your PADI Advanced Diver Course you opted to do Peak Performance Buoyancy, Drift Diver and Boat Diver all you need to do is complete one more dive in these areas to turn them into a Speciality. If you have already completed one Adventure dive this discounts the price of the speciality by 40 Euros. So you could have a speciality for as little as 107 Euros. Here at Dive and Sea Tenerife we can offer you a range of different specialties, one of the most frequently taken Specialities is the Peak Performance Buoyancy speciality. This gives you dedicated dive time to practise obtaining perfect buoyancy as well as additional knowledge to aid your buoyancy control. 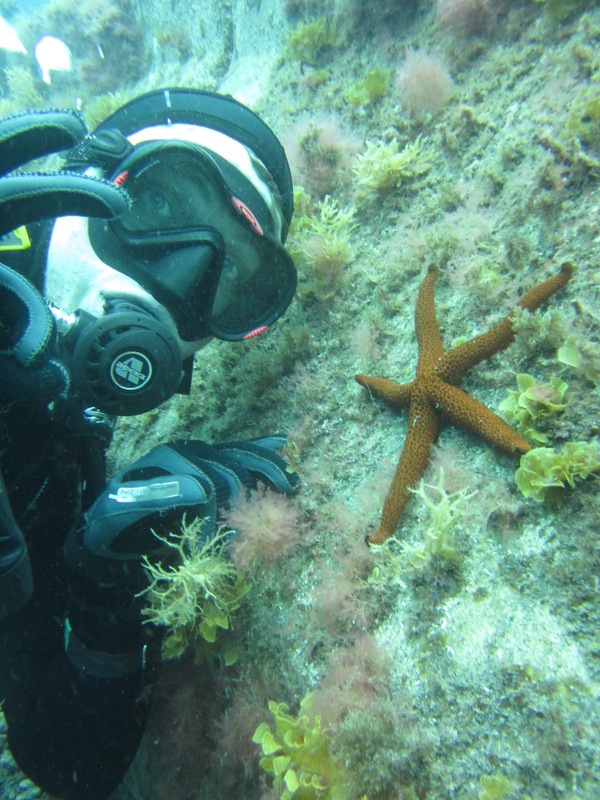 The course can be completed in as little as one day or two dives and for only €147. We are now running our 6 or 8 week internship from the 1st of every calendar month, the next start date available is 1st July 2012. The minimum time required for a non certified diver or Open Water diver with less than 20 dives is 8 weeks. We provide all the training for FREE, however there are costs involved with regards PADI materials, diving insurance, accommodation & equipment. During your time with us you will learn to be a dive guide and teaching assistant. You will also learn how to interact with clients and students as well as various aspects of sales, customer services, equipment maintenance and obviously diving lots! All diving is FREE for the whole duration you are with us, some of our interns manage over 100 dives! As the longest running, and only 5 Star PADI Dive centre in the area, (1 of only 4 in Tenerife) and number 1 in the PADI Rankings for the Golf Del Sur / Amarilla Golf regions of Tenerife 2009 / 2010 / 2011, we ensure you will have a great time and give you loads of assistance during your course. Our PADI Dive centre has trained more Divemasters than any other centre in the area and the majority have gone on to use the qualification for employment in some form or for continuing their education. Some are now working DM’s others continued on to be PADI Instructors and one is even working as a Dolphin Trainer! We have additional discounts on accommodation for multiple bookings i.e.. couples / friends /Clubs / Groups. Not PADI certified, don’t worry, as there are crossovers for all levels of BSAC, SSAC, CMAS, FEDAS, SSI, NAUI, SAA, SCOT SAC etc, so just let us know what agency and what level you are and we will tell you the next PADI level required. If you wish to apply for the internship please send your CV and a photograph with your preferred dates and also letting us know where you found out about us. Tagged: Dive and Sea Tenerife, Diving, Diving Tenerife, PADI, Tenerife, Tenerife Diving.